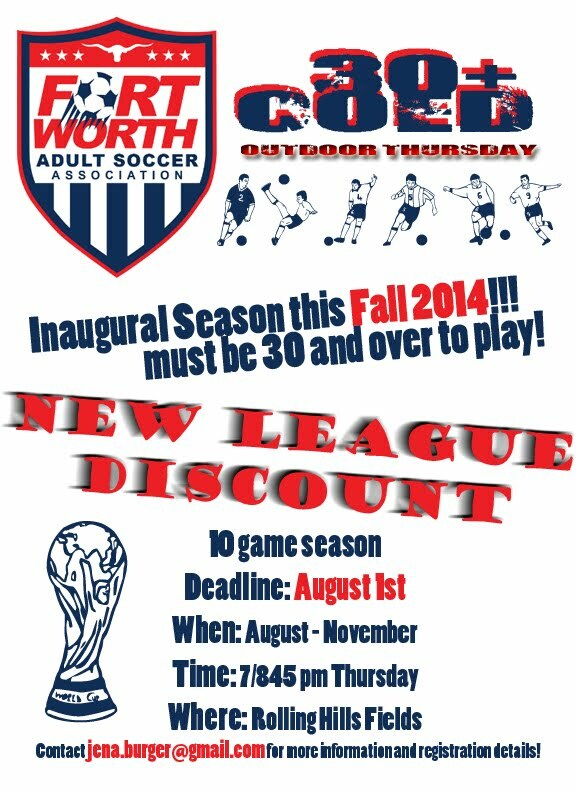 Welcome to the Fort Worth Adult Soccer Association Website! WORLD'S MOST POPULAR SPORT in Fort Worth! NEW WEBSITE: FWASA.ORG This site is no longer maintained. Please change your bookmarks to http://fwasa.org.Thanks! Sunday August 17 - all grass fields closed tonight. Synthetic field games TBD. Fall General Meeting / Packet Pick-up / Referee Orientation WEDNESDAY, AUGUST 13, 2014 - 7 P.M., Christ Church Auditorium, 5023 Trail Lake Dr, FW TX 76133. Referee Orientation meeting to follow at 8:00 PM.